Natural Ayurvedic Treatment is a blog of Planet Ayurveda [USFDA Regd, GMP certified, ISO 9001-2008 Certified Manufacturing unit based in India with the company name Krishna Herbals, owned by Dr. Vikram Chauhan (MD-Ayurveda)] that is based on the natural treatment of various body ailments. It explains how herbs are capable of taking care of specific diseases and related complications. Herbs when used with some wonderful home remedies and advised diet and life style work wonder in body ailments effectively. This blog – Natural Ayurvedic Treatment is dedicated to people worldwide who are suffering from very common to serious body ailments and looking for natural cure, also for those who are interested to gain knowledge of Ayurvedic treatment by means of pure herbal extracts. 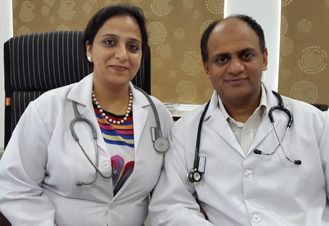 Dr. Vikram Chauhan and Dr. Meenakshi Chauhan are Ayurveda experts of Planet Ayurveda who have huge knowledge about medicinal plants, ayurvedic medicines across the world. They believe in natural healing power and working from a very long time of period to spread the knowledge of Ayurveda – The traditionally health care system of India. Ayurveda defines healthy person as the individual with balanced rate of Agni (metabolism), Doshas (bio energies), Dhatus (body muscles and tissues), and Malas (unwanted wastes). The healthy individual is self-established with his senses, soul and mind fully in sync with each other and maintaining a total harmony with internal peace. Vata, Pitta and Kapha are three energies or doshas of body which are responsible for health and diseases condition of our body therefore herbal remedies available at Planet Ayurveda are aimed on the principle to maintain an equilibrium among three doshas. These are capable of removing and taking out toxic materials (Ama) from differ organs and channels which is the root cause for almost all ailments as per Ayurveda. Planet Ayurveda, an Indian based herbal company deals with a number of wonderful herbal formulations in the form of capsules, powders, tablets, juices and oils etc. It deals with amazing beauty products as well. 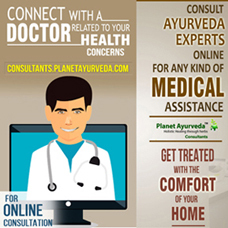 Herbal formulations available at Planet Ayurveda are made from standardized extracts of best quality herbs. These all when given in combination work in a synergetic manner to show the results. It uses standardized extracts of best quality herbs to formulate the products so that its best is given across the world. It uses pure vegetarian capsules made from plant cellulose and do not contain hard gelatine that is low in cost and also made from chemicals, cartilage, and chemicals or other pig intestines. It uses 500 mg quantity of pure extracts rather than raw powder as many companies uses simple raw powder either in the quantity of 250 or 500. Herbal products here are totally free from chemicals, preservatives or other chemicals. These are available at reasonable cost in spite of containing pure extracts. There is a huge difference cost wise between raw powder and standardized extracts. Herbal products here under go quality, quantity and potency check before getting in to formulations so that best is sent to customers worldwide.